KNUTSFORD Hosts, the community volunteer initiative, has caught the eye of a neighbouring town with Altrincham kick-starting a similar scheme. The Knutsford group, which celebrated its third anniversary and signed its 85th member in March, helps and supports charities and organisations across town. As well as working with organisations within the town, the founders of the Knutsford group are now helping Altrincham Unlimited – the town’s business improvement district – launch its own programme. 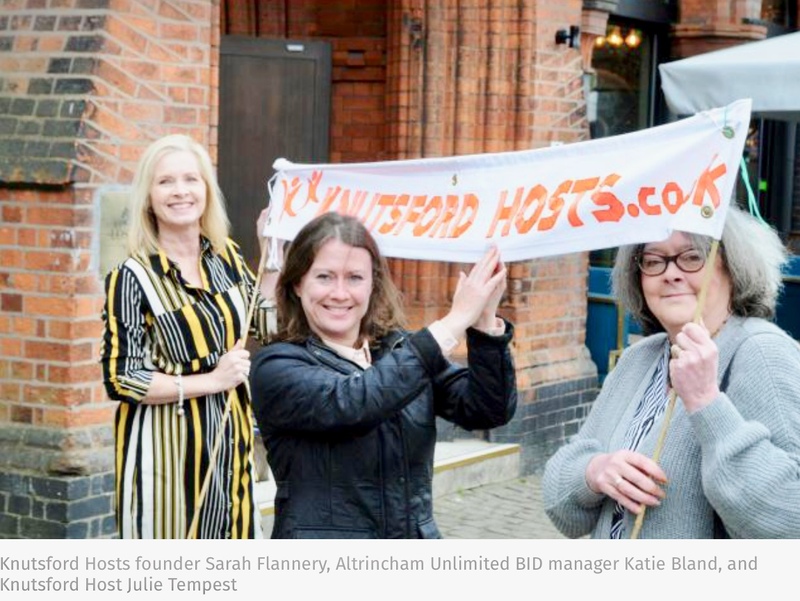 Knutsford Host founder Sarah Flannery said: “It’s so exciting to see that Altrincham Unlimited is launching Altrincham Hosts. “Since we launched with the simple but unique idea of having a town-wide resource of community volunteers to promote the town and support our many events, local organisations and charities, we’ve made a huge contribution to our town. “It’s a testament to the incredible efforts of our 85-strong team that Altrincham has seen the value of adopting a similar scheme to support their vision of greater community engagement and a reinvigorated local economy. “We have seen how the Knutsford Hosts scheme is such an inclusive and friendly volunteering group that supports a number of excellent events, organisations and causes that bolster the local Knutsford economy but that also embraces a diverse group of people. Welcoming the expansion of the scheme, David Briggs, Lord- ieutenant of Cheshire, said: “Knutsford Hosts is an outstanding initiative which links people who care about helping their local community with worthwhile projects and good causes. Middlewich Town Council is also in early discussions to launch a Middlewich Hosts initiative.